Rob Cox, Global Editor for Thomson Reuters’ Breakingviews, blamed President Trump for the deadly shooting at Maryland's Capital Gazette newspaper Thursday. Five people died in the carnage, and others are suffering from serious injuries. "This is what happens when @realDonaldTrump calls journalists the enemy of the people," Cox wrote on Twitter. "Blood is on your hands, Mr. President. Save your thoughts and prayers for your empty soul." He deleted the tweet and was forced to backpedal. He also admitted that his initial response was "emotional and inappropriate." CNN's Brian Stelter made a similar connection. 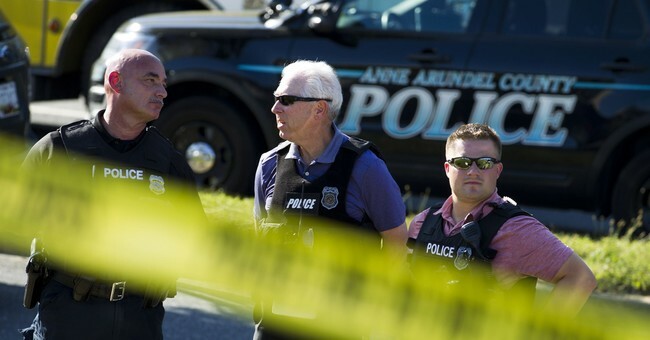 The Maryland newsroom, he noted, was targeted during a period in which physical attacks against journalists have risen in recent years - particularly at campaign events. Political campaigns appeared to have nothing to do with this case, however. The suspect had a deep seeded grudge against the newspaper for years. Reports reveal he had been harassing the paper since 2011. Cox also did not mention that Democrats have also been guilty of using firebrand rhetoric. Over the weekend, Rep. Maxine Waters (D-CA) basically told supporters to confront Republicans in the street. Waters, however, denied that she was calling for harm against anyone. "I believe in peaceful, very peaceful protests," she said in defense of her remarks.